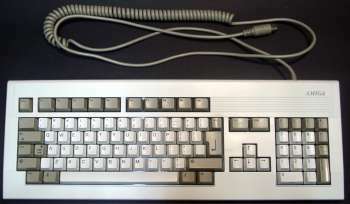 The standard Keyboard supplied with the A4000T from Amiga Technologies. 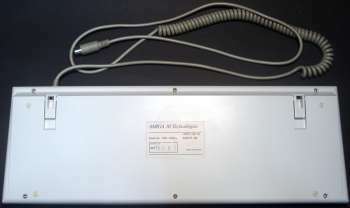 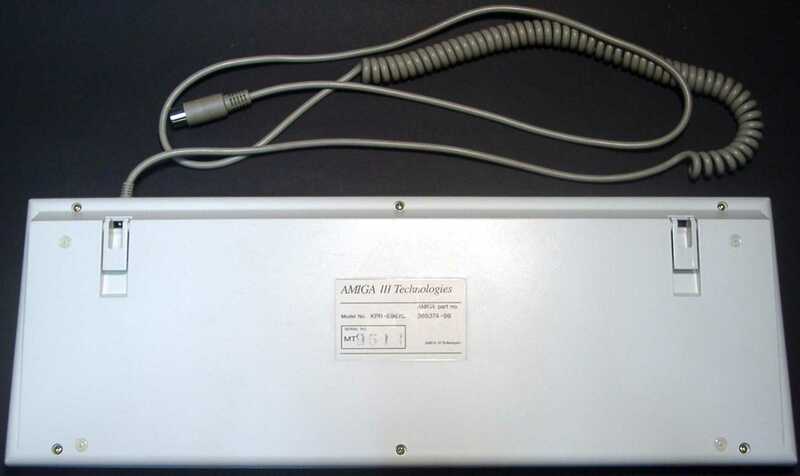 The A4000T uses the same large 5pin DIN keyboard connector, found on most big box Amigas. Unlike the KPR-E94YC keyboard, this keyboard has two additional keys which are unlabelled, intended for user customisation.